What is coa file? How to open coa files? The COA file extension is associated with Payroll Software, an accounting & finance software, developed by Medlin Accounting. The .coa files contain chart of accounts with beginning of year balances file. 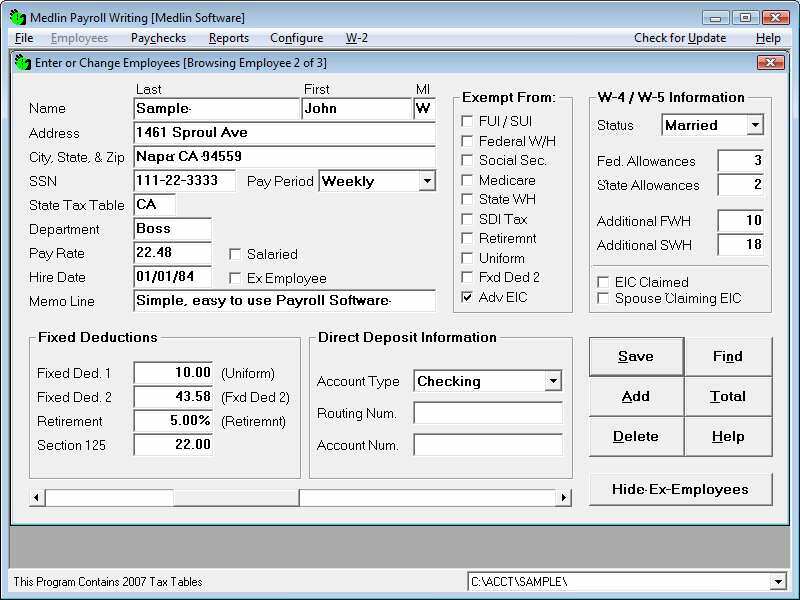 Payroll Software can prepare payroll for a single employer as well as for multiple employers. Payroll Software can manage up to 5000 employees per employer. Generally speaking, program specific accounting files can only be used in their respective programs. However, you can often export to some exchange format that should be widely supported . Most of financial and accounting file types can be exported to OFX or QFX format, or even CSV (Comma Separated Value) format. and possible program actions that can be done with the file: like open coa file, edit coa file, convert coa file, view coa file, play coa file etc. (if exist software for corresponding action in File-Extensions.org's database). Click on the software link for more information about Payroll Software. Payroll Software uses coa file type for its internal purposes and/or also by different way than common edit or open file actions (eg. to install/execute/support an application itself, to store application or user data, configure program etc. ).